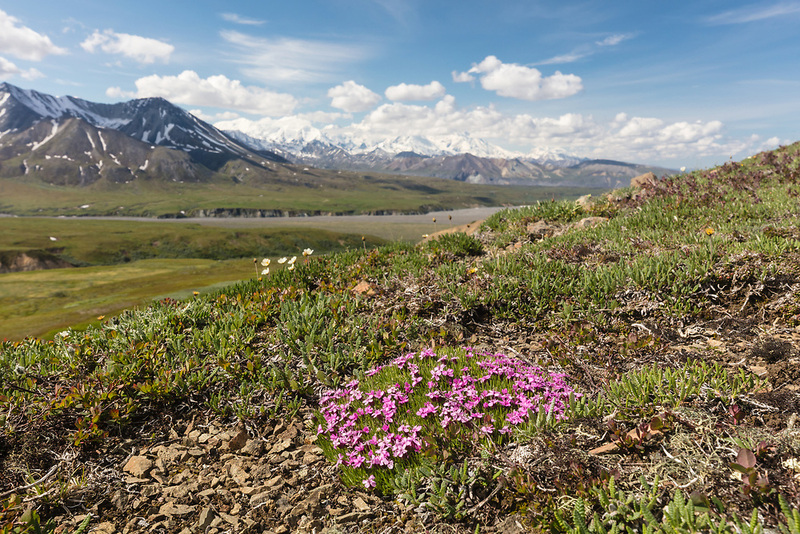 Moss Campion (Silene acaulis) overlooking Thorofare Pass in Denali National Park in Interior Alaska. Summer. Morning.